Ya know how hard it is keeping a secret from yourself? Sometimes it’s relatively easy. You do things and you don’t always know why. Sometimes its a tiny bit hard. Once you see something, you can’t unsee it. 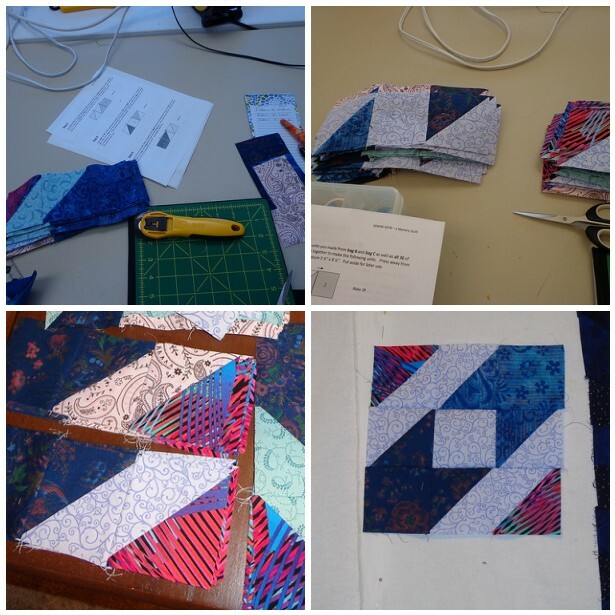 Well as I mentioned in my previous episode, I went to a mystery quilt workshop during the weekend. 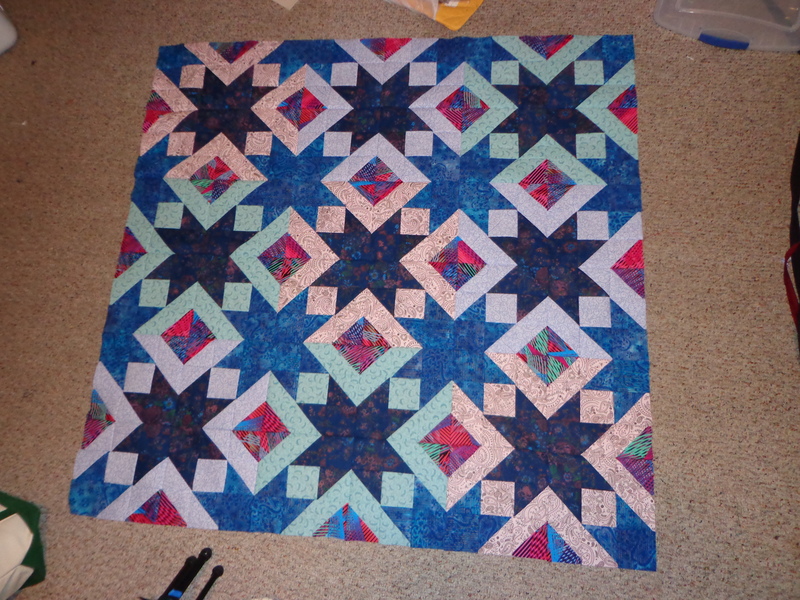 I broke into my thoughts about halfway through the quilt top center to share with you some of the things I was thinking about when making this quilt. For some reason, I am not wanting to write about this as much as I want to just talk about it. 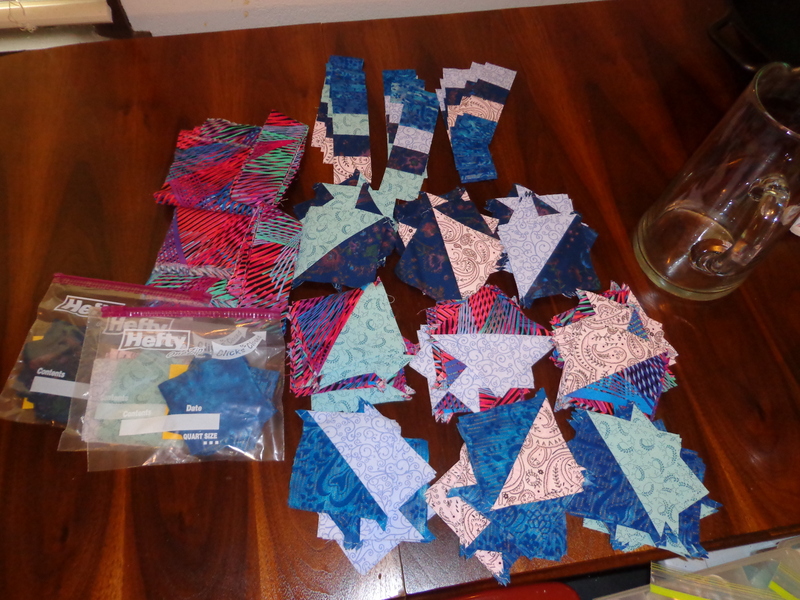 So we started here with all the precutting & presewing. 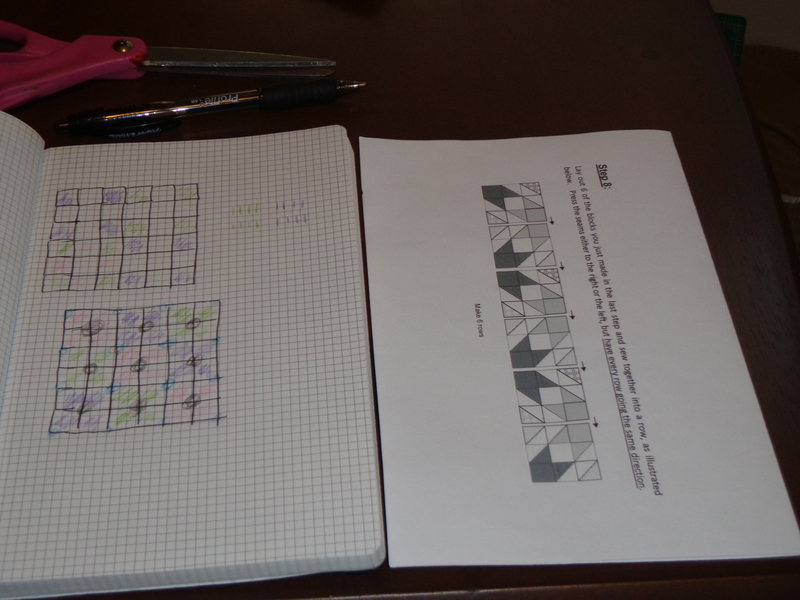 For a while I was fooling myself into thinking that I really didn’t “know” the pattern. I saw step 8. 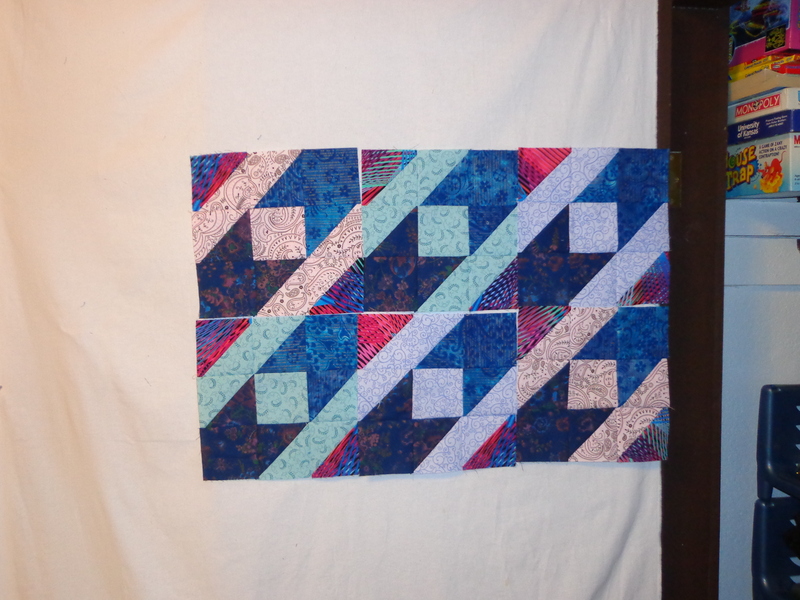 Then I had to make a decision about the coloring based on my light fabrics being different. Once I settled on the grouping, I had things spread out everywhere in this tiny room! 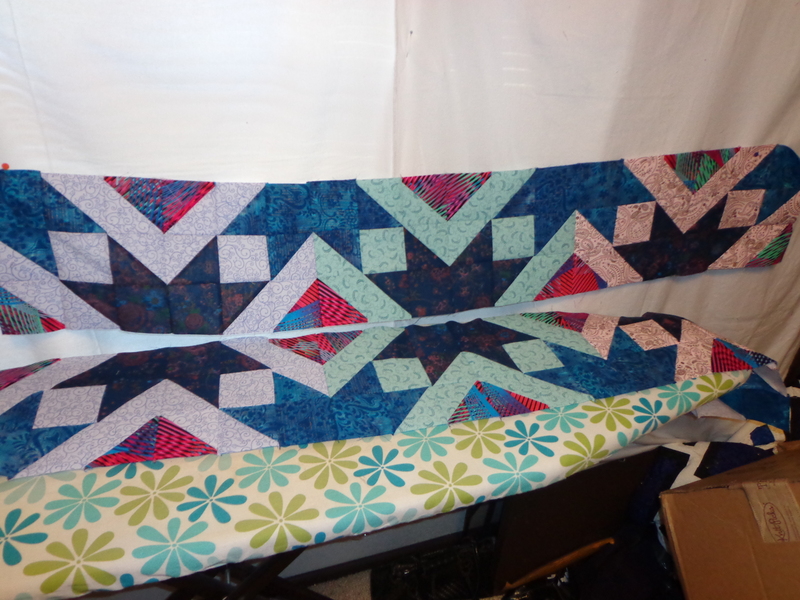 But I pinned part of the ‘color choice’ design to my design wall. So here’s the center (taken inside). But as you can see a galloping horse in the middle of the lighted forest would see this way. Which I admit, is pretty nice. 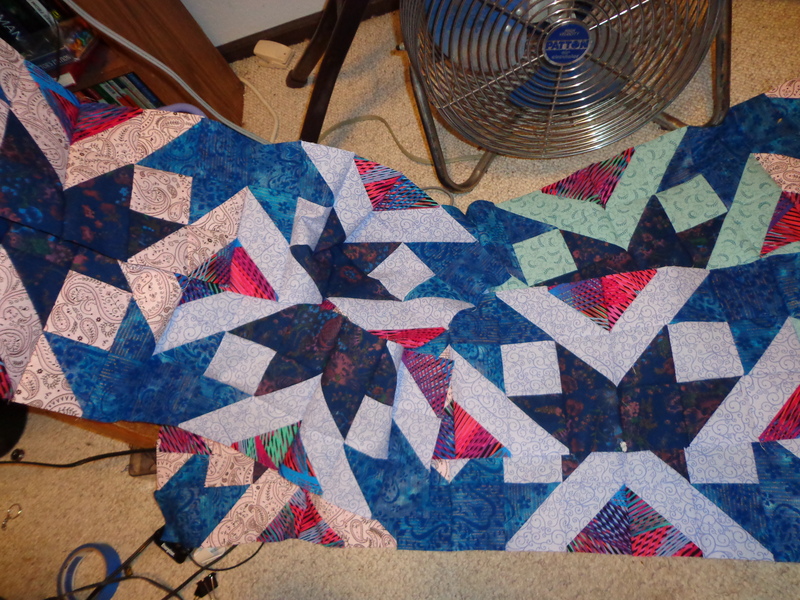 Then the way I have the ta-da triangles to make the first blocks, you can see one section of it here. 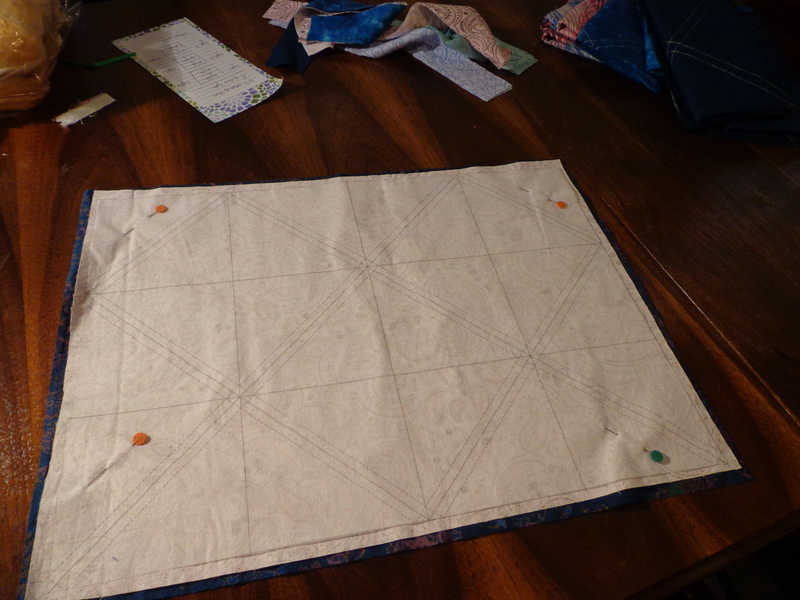 Pin it down to sew. 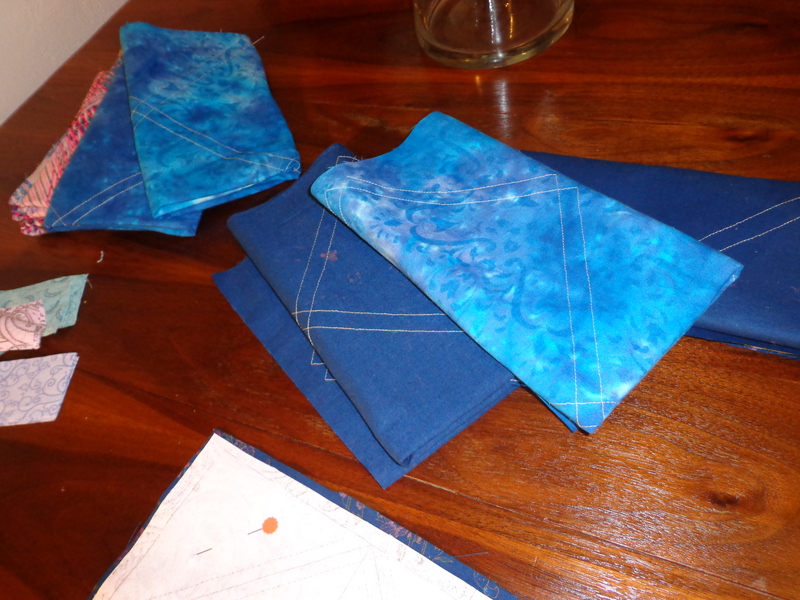 Some of my “fat quarters” of fabrics sewn on the ta-da triangles. Hopes this helps explain a little better. 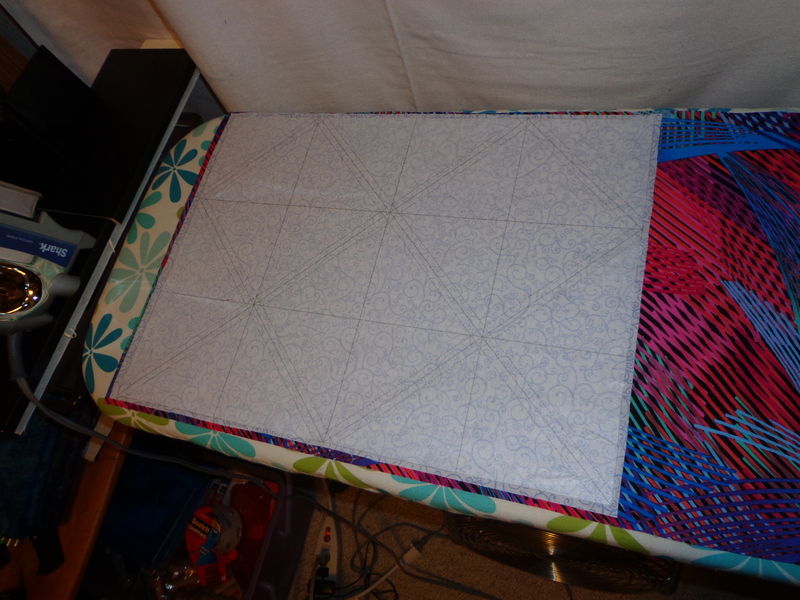 Watch the finished size, does not mean finished size of unfinished HST! Who knew?!! 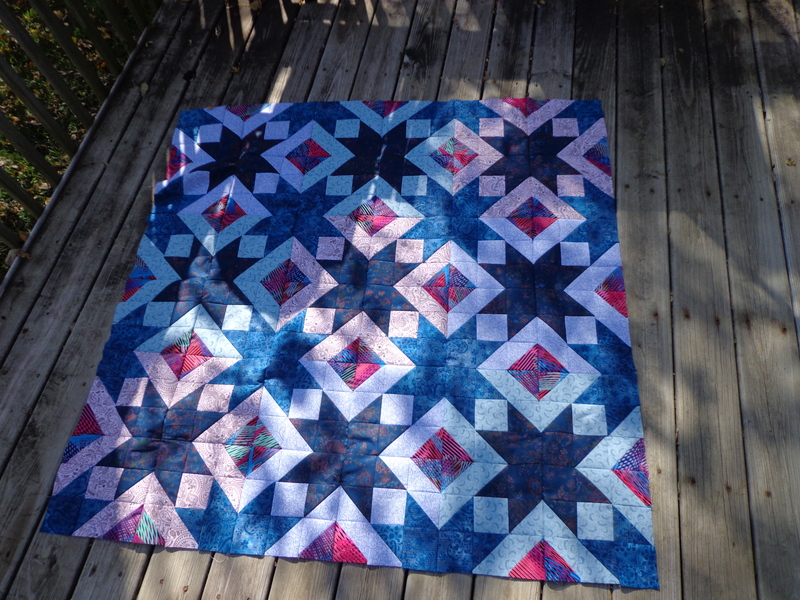 What do you think about doing mystery quilts? ?